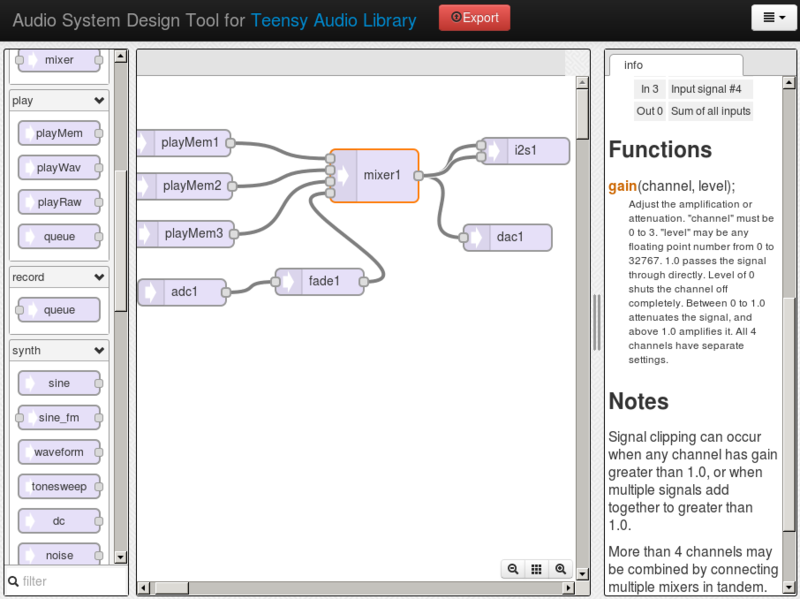 This is the Teensy Audio board add-on for the Teensy 3.x line development boards. This audio board provides you with an easy-to-use tool to add high quality 16 bit, 44.1 kHz sample rate audio to your Teensy project. With the audio library provided in the Documents section below you will be able to use both the input and output simultaneously in order to make a variety of great audio projects, incorporate synth waveforms, effects, and mix multiple sound streams and cd quality audio to your headphones or different line outs! 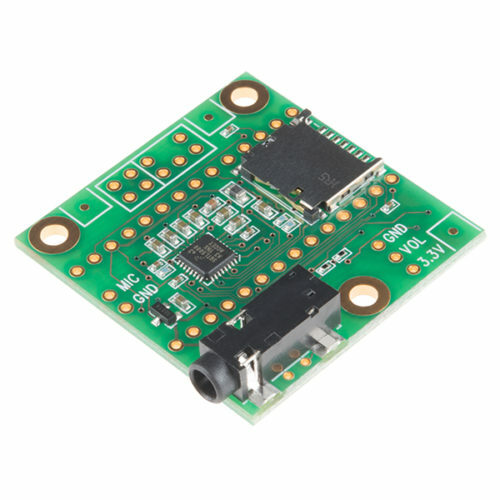 The Teensy Audio board utilizes the SGTL5000 stereo codec with headphone amp IC to decode and drive audio files and the Cortex-M4 DSP instructions from the Teensy dev board to provide power to a real-time FFT. Each board is also equipped with 3.5mm audio jack for headphones, a micro-SD card slot for storing audio files, and optional spaces for a 25k potentiometer (volume control) and flash memory chip. The two rows of 14×1 headers are not included to give you the freedom to choose how to connect your audio board with your Teensy.